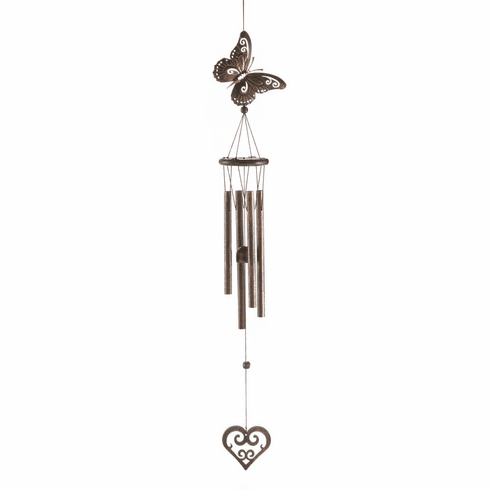 This lovely wind chime will charm you, even when the breeze is still. It’s made from iron and pine wood and it features a pretty butterfly on top and a decorative heart charm below. Hang it from your porch or patio and listen to the song of the wind! Weight 0.4 pounds. 4.5" x 3" x 31.5". Pine Wood, Iron. UPC Number:849179029494.